2nd of the European Superstock 1000 Championship with 2 pole positions, 7 podiums and 1 win. 3rd of the European Superstock 1000 with 2 pole positions, 6 podiums and 3 wins. 2nd of the European Superstock 1000 with 1 pole position, 5 podiums and 3 wins. 3rd of the Bol d’Or. Participation in the world Supersport championship (2 races). Winner of the Italian Superbike championship. 6th of the Australian GP of the world Superbike championship. 8th of the world Supersport championship. 1996 Winner of the Italian 750 Sport Production championship. Winner of the Italian 750 Suzuki Cup. 5th of the Bol d’Or 24 hours. Participation in the French Supersport Championship. 4th of the Le Mans 24 hours. 1998 Participation in the Bol d’Or 24 hours. Winner of the French Supersport Championship. 1997 Participation in the World Endurance Championship. 5th of the Le Mans 24 hours. 3rd of the French 600cc Championship. 1995 Winner of the Spa 24 hours category Stocksport. 2nd of the European Endurance Championship. Participation in the French Promosport 250cc Championship. Winner of the Endurance Master. Winner of the Le Mans 24 hours. 2nd of the Bol d’Or 24 hours. Pole position at the Le Mans 24 hours. Winner of the Oschersleben 24 hours (Germany). Winner of the Zhuhaï 6 hours (China). 2nd of the Albacete 12 hours (Spain). 2nd of the 500km of Assen (Holland). 3rd of the Suzuka 8 hours (Japan). 2nd of the 200 miles of Vallelunga (Italy). 2nd of the Le Mans 24 hours. 2nd of the Brno 6 hours. 3rd of the Bol d’Or 24 hours. 3rd of the World Endurance Championship. Pole position at the 200 miles of Silverstone. 3rd of the 200 miles of Silverstone. Winner of the Brno 6 hours. Pole position at the Oschersleben 24 hours. 2001 3rd of the French Supersport Championship. 1999 2nd of the Spa 24 hours. 1998 Winner of the Spa 24 hours. 1997 2nd of the World Endurance Championship. Winner of the Bol d’Or 24 hours. 3rd of the Spa 24 hours. 2nd of the French 600 Supersport Championship. 2nd of the 6 hours of Assen. 2nd of the French Open 250cc Championship. 2nd of the French Open 125cc Championship. Winner of the Spa 24 hours. Winner of the Assen 16 hours. Official rider in European 250cc Championship. Born on October 19th, 1982 in Blacktown (Australia). Participation in the Oschersleben 24 hours. Winner of the French Stocksport championship. 2nd of the Spa 24 hours. 5th of the French 250 Open championship (Team of France of speed). Winner of the Aprilia 125 Cup. Replacing rider for the Le Mans 24 hours. Replacing rider for the Spa 24 hours. Replacing rider for the Oschersleben 24 hours. Winner of the world endurance cup. Participation in the Stocksport championship with 2 wins (Le Mans and Magny-Cours). 1999 Official rider 600 Supersport and Endurance. Official rider Suzuki 600 Supersport and Endurance. Winner at Magny-Cours in 600 Supersport. 2nd of the Bol d’Or. 3rd of the Open 600 Supersport championship. 2nd of the Open 600 Supersport championship. 2nd of the World Endurance Cup. Pole position in the Brno 6 hours. Winner of the Nürbürgring 6 hours. 2nd of the Liège 24 hours. Winner of the Oschersleben 24 hours. 2nd of the Estoril 6 hours. Pole position in the Le Mans 24 hours. 6th of the Bol d’Or 24 hours. 3rd of the French 125cc Championship. 4th of the XJR Yamaha 1200 Cup. Participation in the World GP 125cc Championship. Start in competition (Tech 3). 4th of the European 125cc Championship. Winner of the French 50cc Championship. Participation in the World Superbike Championship. 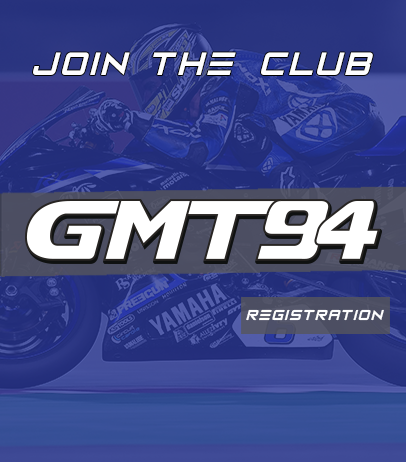 Participation in the Le Mans 24 hours with GMT 94. 1991 10th of the European Superbike Championship. 10th of the Bol d’Or 24 hours. First podium in European Superbike Championship (Suede). 7th of the Bol d’Or 24 hours. 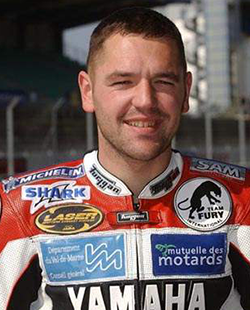 2 wins in the French Superbike Championship. 3rd of the French National Production Championship. 4th of the French National 250cc Championship. Winner of the Sportproduction 125cc championship. 2007 2nd of the French Superbike Championship. 2006 2nd of the French Open Stocksport Championship. 2nd of the French Open Stocksport Championship. Winner of the Albacete 12 hours. Winner of the Assen 500km. Winner of the Open Stocksport Championship. Winner of the World Endurance Championship. Participation in the French Stocksport Championship (2 podiums in 2 races). 3rd of the Bol d’Or 24 hours category Superproduction. Participation in 24H of Le Mans track (with GMT 94). Born on April 2nd, 1972 in Paris (France). Podium at 8 Hours of Oschersleben. 2nd of the French Superproduction Championship. Winner of the French 600 Supersport Championship. 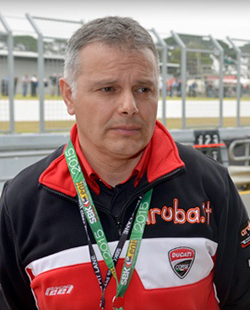 25th of the world Superbike championship with 1 win (Philip Island). Win in Laguna Seca during the world Superbike championship (Wild Card). 1994 First race in the world Superbike championship as Wild Card (Philip Island). Realize the pole position, win the first race and finish 3rd of the second race. 6th of the Le Mans 24 hours. 2nd of the French Promosport 750cc championship. 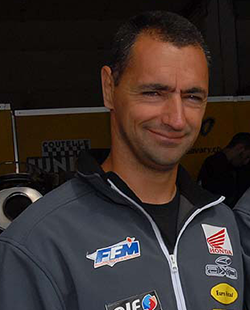 Participation in the FIM Endurance Cup. 3rd of the French Promosport 750cc championship. Death July 30, 2003 (helicopter crash). 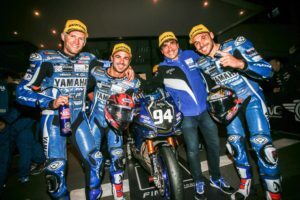 Pole position at the Oschersleben 24 hours (GMT 94). 2nd of the British Superbike Championship. Winning Formula 2 Tourist Trophy. 2nd of the French Supersport championship. 2nd of the French Superbike championship. Winner of the French Supersport 600 championship. Winner of the 200 miles of Assen. 43rd of the World Superbike Championship. 44th of the World Superbike Championship. 14th of the World Superbike Championship. 1998 Winner of the Le Mans 24 hours. 15th of the World Superbike Championship. 1997 4th of the Le Mans 24 hours. 4th of the Bol d’Or 24 hours. Winner of the French Promosport 750cc Championship. 6th of 250cc World Championship (2 podiums). First victory in 250cc World Championship (Assen). 14th of 500cc World Championship (2 podiums). 10th of Supersport French Championship. Participation in Bol d’Or 24H (with Team Free Bike and the Team Gauloise Yamaha). 2nd of world endurance Championship (with team DAFFIX). 6th of the French Open Supersport Championship. 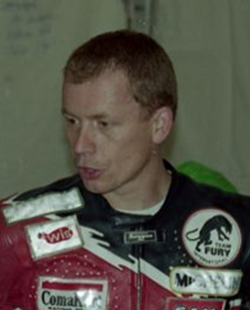 2000 Winner of the French 600 Supersport Championship. 1999 2nd of the French 600 Supersport Championship. Winner of the Yamaha Cup. 2nd of the 1000 miles Yamaha Cup. Winner of the Le mans 24 hours category 600 Supersport. 2nd of the Le Mans 24 hours category 600 Supersport. 7th of the Bol d’Or 24 hours category Stocksport. 5th of the CB Cup. 2nd of the Bol d’Or 24 hours category 600 Supersport. 4th of the French 50cc Championship (Group 3). Winner of the French 50cc Championship (Group 2). Winner of the Mob 4 hours. 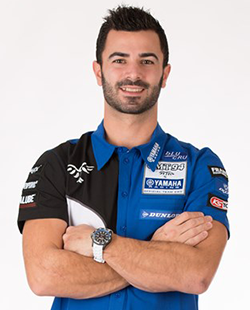 Official rider of Yamaha for the Le Mans 24 hours. 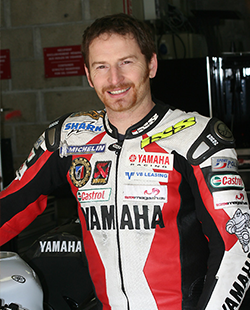 Official rider in Endurance and in the French Superbike Championship. 3rd of the French Superbike Championship. 1982 5th of the 1100 Promosport Championship. Put an end of his life the August 15th, 2005. Participation in the Oschersleben 24 hours as advisor. Twice 7th in GP 250 World Championship (Philip Island et Assen). Participation in the 200 miles of Imola. 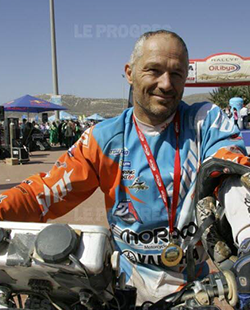 2002 Pole position in the Bol d’Or 24 hours in the Stocksport category (1.42.8). Win in French Endurance Cup (Lédenon). Podium in French Promosport 1000cc Cup (Lédenon). Winner of the 500 CB Cup. Winner of th French Endurance Cup. 2005 Beginning in Honda Junior Cup 125 French Championship. 2nd in Brno (Czech Republic). 2002 4th of the Le Mans 24 hours. Pole position in the Silverstone 200 miles. 3rd in Lédenon during the French Superproduction Championship. Pole position in the Oschersleben 24 hours. 2001 Winner of the Le Mans 24 hours. 2nd of the World Cup. Winner in the 600 Supersport Championship in Carole and lap record (1’03’’2). 2nd of the World Endurance Championship. 1997 7th of the Bol d’Or 24 hours. 1996 Participation in the Bol d’Or 24 hours. Participation in the 24 hours of Spa. 3rd of the 6 Hours of Johor. Winner of the Belgium Supersport championship. Winner of the Belgium « Silhouette » championship. 1986 Winner of the Belgium 250cc championship. Winner of the Belgium Superbike championship. First race in the world 250cc championship (Belgium). 14th of the World Supersport Championship with 2th in St-Marin. Participation in the World GP 125cc Championship (2 races). 7th of the World GP 125cc Championship with 2th in Portugal. 7th of the World GP 125cc Championship. First best lap in race (Rio de Janeiro). 2000 6th of the World GP 125cc Championship. 2 wins in Catalogne and Rio de Janeiro. 1999 8th od the World GP 125cc Championship. First podium in the World GP 125cc CHampionship (Imola). 1995 Italian Sport Production Championship. Winner of the Estoril 8 hours. Winner of the French Superbike championship. Podium in the Bol d’Or 24 hours. 2006 Participation in the Bol d’Or with GMT 94. 10th of the German Superbike IDM Championship (3 podiums in 3 races). Participation in the Holland Supersport Championship (2 podiums in 2 races). Winner of the World FIM Stocksport Cup (2 wins in Germany and France). 4th of the World FIM Stocksport Cup. 2002 9th of the Superstock Championship. 5th of the Oschersleben 24 hours. 5th of the Vallelunga 200 miles. Winner of the Belgium 250cc Championship. Winner of the Belgium 600 Endurance Championship. 1998 First race in the Belgium 250cc Championship (Zolder). 1992 Participation in the Carole 1000km. 1991 Winner of the FIM Endurance Cup. Winner of the Malaysia 8 hours. 2nd of the Australia 8 hours. Winner of the FIM Endurance Cup. 3rd of the Suzuka 8 hours. Winner of the Liège 24 hours. Winner of the Suzuka 8 hours. Winner in the world Superbike championship (Austria). Winner of the Hockenheim 1000km. Winner of the Jerez 1000km.